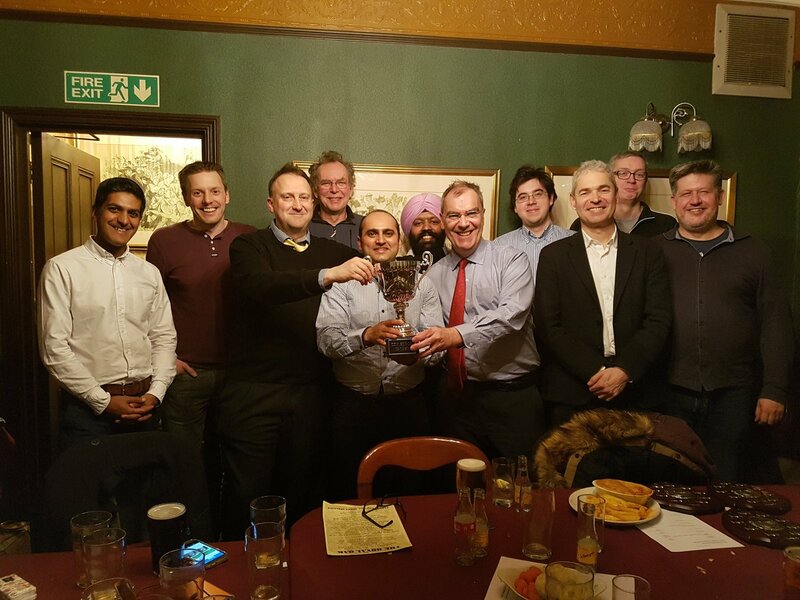 A dozen Dodgers made it out to Borough on Thursday evening for the AGM and Social 2017 at the Royal Oak in Tabard Street. The proceedings of the AGM will be covered in the forthcoming minutes so let's get straight onto the awards. 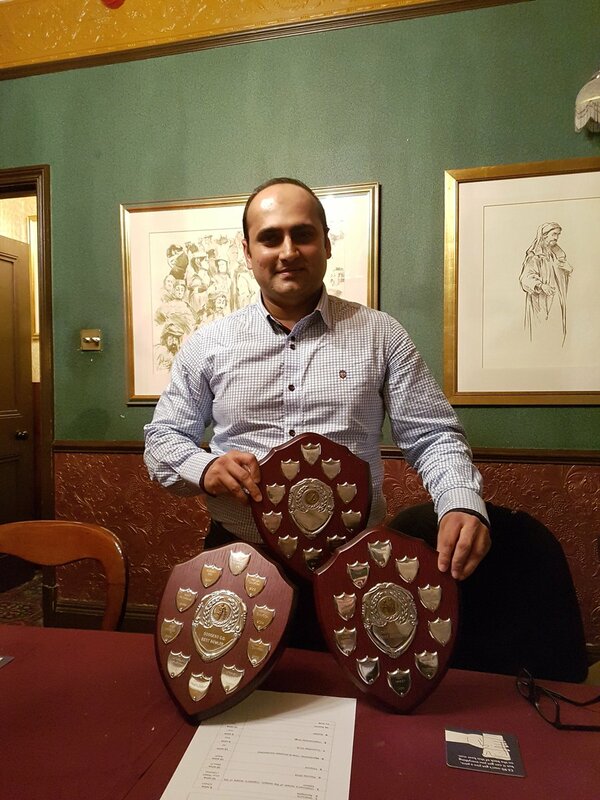 Fairly easy really because NJ won all of them pretty much - Best Batsman, Best Bowler and Player of the Year. 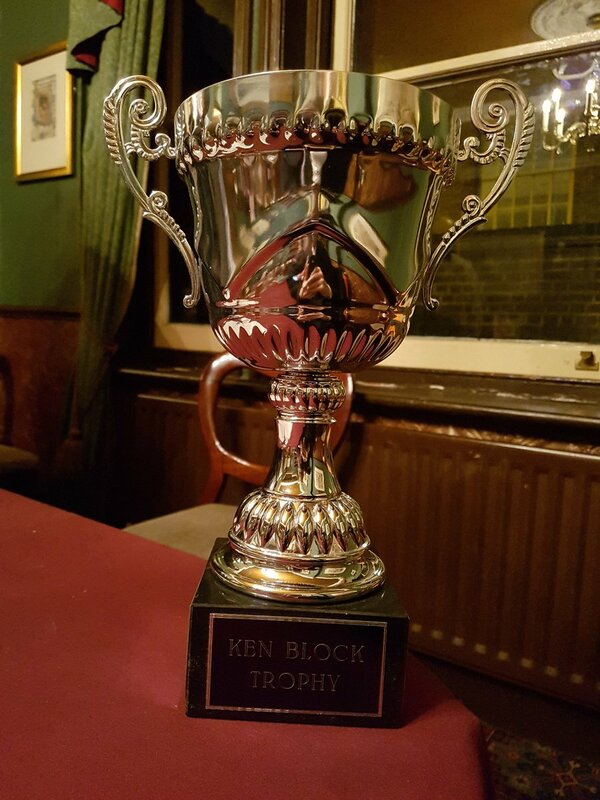 Dodgers won the Ken Block Trophy in 2017 and actually had the trophy at the meeting to prove it. Phil McBarron was a worthy winner of the Kim and Jude Trophy in recognition of his many years of service to the Club.